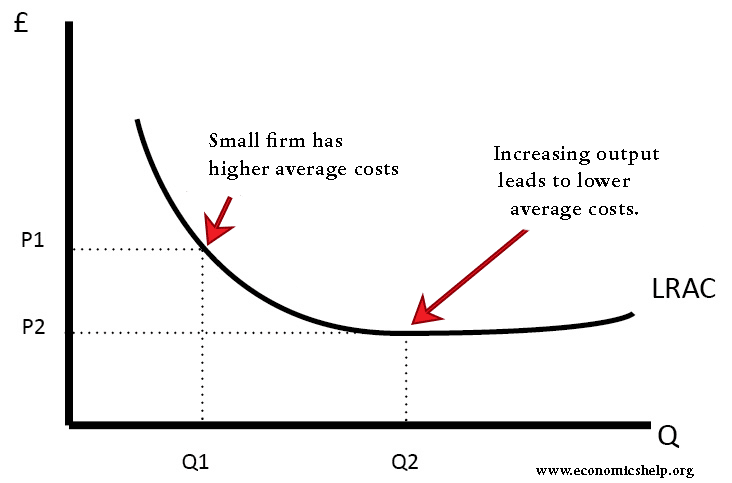 Economies of scale occur when increasing output leads to lower long-run average costs. Increasing output from Q1 to Q2, we see a decrease in long-run average costs from P1 to P2. In large scale operations workers can do more specific tasks. With little training they can become very proficient in their task, this enables greater efficiency. A good example is an assembly line with many different jobs. Some production processes require high fixed costs e.g. building a large factory. If a car factory was then only used on a small scale, it would be very inefficient to run. By using the factory to full capacity, average costs will be lower. If you buy a large quantity, then the average costs will be lower. This is because of lower transport costs and less packaging. This is why supermarkets get lower prices from suppliers than local corner shops. If a firm merged, it could rationalise its operational centres. E.g. it could have one head office rather than two. To increase capacity eight-fold, it is necessary to increase surface area only four fold. This occurs when firms benefit from the whole industry getting bigger. E.g. 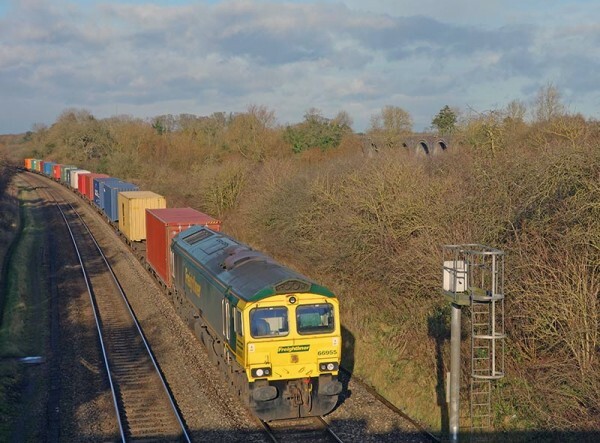 firms will benefit from better infrastructure, access to specialised labour and good supply networks. E.g. microchip producers often set up in Silicon Valley. See more on external economies of scale. Studies in economies of scale suggest that, in the automobile industry, to attain the lowest point on the long run average costs the minimum number of cars to be produced in 1 year is 400,000.